assisting you in finding your perfect home in the winelands. We present The Next Chapter: Val de Vie Evergreen – A Carefree Retirement Lifestyle. Val de Vie Evergreen brings South Africa’s top retirement brand and premier lifestyle estate together in a partnership of great promise. 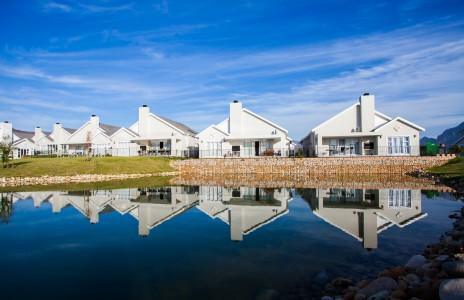 The village draws aesthetic inspiration from its magnificent surrounds in recreating the open-door, secure living of yesteryear at Val de Vie. With its exceptional blend of luxury homes, vineyards, golf, polo, equestrian and lifestyle activities, Val de Vie is the proud recipient of eight International Property awards. The promise of tomorrow lies in the Valley of Life. Embark on the next exciting chapter. It’s your story… a life worth living. If you have always dreamed of having a large vegetable garden to grow your own high-quality produce or maybe to look out onto your land with your horses within eyesight, then this is specially for you. 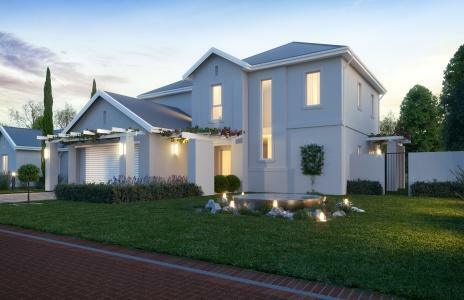 Homes border on the protected Fynbos Reserve and is secure country living at its best. Modern and immaculate homes boasting spacious living areas and high ceilings are perfect for entertaining family and friends. Open plan living areas have doors that open onto a covered patio with a wooden deck that surrounds the sparkling pool and boma. There is a large family room with a fireplace for cold winter evenings and spacious bedrooms with built-in cupboards and en-suite bathrooms. The main bedroom leads into an en-suite bathroom with double basins, toilet, shower and bath. A beautiful kitchen including a gas hob, electric oven, extractor fan, granite tops and a large scullery with ample space. Direct access to the home is gained through an automated garage. Bordeaux homes are designed for those in search of secure lock up and go, low maintenance living. Bordeaux homes offer an open plan kitchen, a freestanding closed system wood burning combustion fire place, a kitchen island and separate scullery. To add even more comfort and space, the design offers open trusses to the living areas which flow into an undercover patio with a built-in braai; perfect for relaxing and overlooking the swimming pool and wooden deck. The lovely Bordeaux plot and plan homes offer generously proportioned bedrooms with built-in cupboards and all en-suite bathrooms with modern, tasteful fittings. Superb quality finishes include double glazed aluminium windows and stack away doors; along with a choice of modern cupboards, tiles and carpets. This beautiful 212-hectare development incorporates both tranquil and secure country living with unparalleled views, outstanding facilities and an acclaimed Jack Nicklaus Signature Golf Course. Named the Best Conditioned Golf Course in the Western Cape for 2010, 2011 and 2012 by Golf Digest Magazine and awarded Compleat Golfer’s Five Star Experience Award for six consecutive years, it’s evident that it does indeed take a legend to make a legend. Experience exceptional quality of life, with all the benefits of country living, and a variety of amenities including an equestrian centre, spa, tennis courts, swimming pools, children’s play areas, cricket nets, boule courts and hiking, running and cycling trails. If these are your expectations, then the choice is rightfully definitive. Come home to Pearl Valley where you truly can ‘Live, Play, Relax’. The home of your dreams awaits your selection from a portfolio of four tastefully designed floor plans, collectively known as The Oaks . 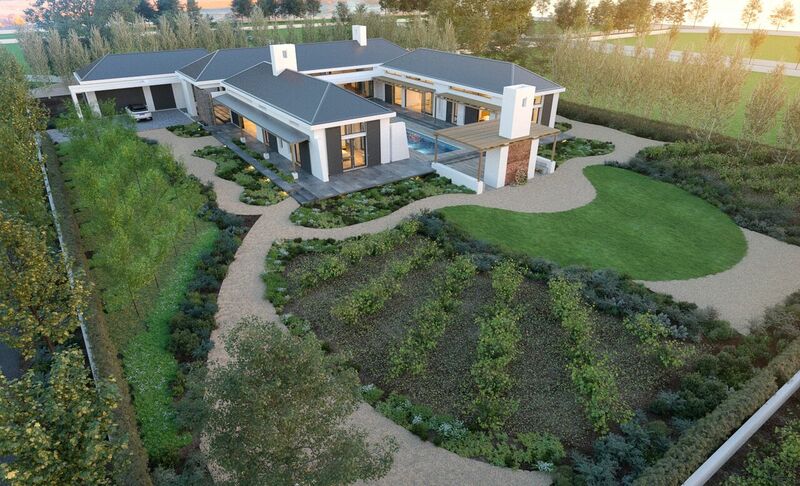 This unique property offering eliminates the need to start the design process from scratch, saving you both time and money in the development of your home on one of Val de Vie’s newly launched plots. These designs also allow room for customisation, to ensure that your requirements are met and that the end product is perfectly in line with your expectations. Your hopes can soon become a reality in the Valley of Life – and it all begins with a choice. La Vue II is one of Val de Vie’s prime locations with mostly north facing stands overlooking a 58-hectare Fynbos Reserve. Situated across from Pearl Valley offering spectacular views of the Drakenstein mountain range, this highly anticipated development offers an array of amenities including: access to 42km of MTB and running trails, Pearl Valley’s Jack Nicklaus Signature Golf Course, top equestrian facilities, 7km of Berg River, three gyms, restaurants and the best security in Africa. Come and experience the best of outdoor living in the Valley of Life. Modern luxury and untouched nature meet in perfect harmony to create what could be your future home, at The River Club on Val de Vie Estate. It is here, alongside the Berg River that you can expect an atmosphere of complete serenity each time you come home. 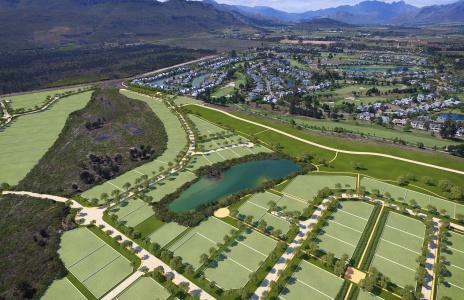 The 12 plots that make up this development range from one to two hectares and form part of the larger Val de Vie Estate, offering world-class security and allowing you to embrace a lifestyle that is so rarely found these days. The River Club properties were conceptualised to create a farm-like feel on a slightly smaller scale than Val de Vie’s Gentleman’s Estates. 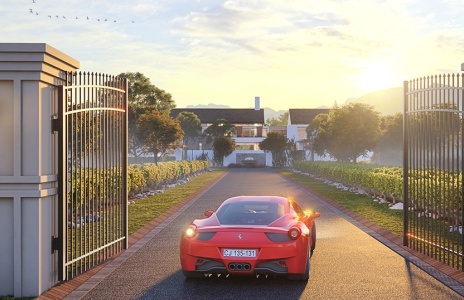 Val de Vie Estate presents an ultra luxury, all inclusive plot and plan design offering from one of South Africa’s most celebrated architects, Stefan Antoni. 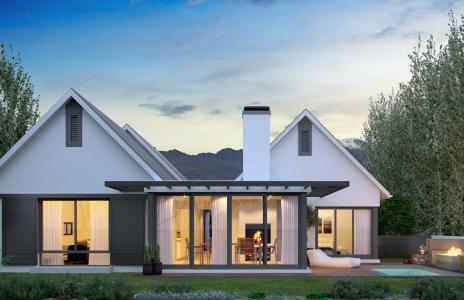 The Stefan Antoni Signature Series offers two exclusive designs (350m² single storey and 475m² double storey) that enable any buyer to choose a top quality and contemporary design paired with any developer plot on Pearl Valley, Val de Vie Estate’s premium neighbourhood. This is an ideal choice that eliminates the often lengthy and stressful process of conceptualising, designing and finding a builder to build your dream home. These Stefan Antoni Signature Series homes provide you with the opportunity to celebrate the best South Africa has to offer in residential, urban and estate design. The Vines is all about lifestyle. Incredible facilities, top-notch security, and exquisite natural surroundings are an invitation to living with open doors. More than just a modern estate, The Vines offers residents access to outdoor activities including cycling, running, fishing, polo and more. It’s true freedom on your doorstep. The Vines comprises 12 hectares of prime land, with 142 plots that offer views of the Paarl Mountains and overlook four beautiful lakes as well as a wildlife camp. When deciding on your perfect home, you are offered the selection of five Antoni Associates’ architectural plans, designed exclusively for The Vines by one of South Africa’s most well-known architects, Stefan Antoni. The rich, unturned soil of Val de Vie’s Gentleman’s Estate is yours to nurture. You’ve sown the seeds of dedication and ambition, and now it’s time to reap rewards in the form of your investment; to literally watch the fruits of your labour come to life in what many have called the most breathtaking region in South Africa. Here, you’ll have the opportunity to live life as you would on an expansive farm; to keep horses and certain breeds of livestock, and to cultivate vineyards, olive groves or organic vegetables alongside the life-giving waters of the Berg River. Ranging from 1,2 hectares to 3,53 hectares, the Gentleman’s Estates offer a sense of space and proximity to nature, without the stresses often associated with commercial farming or the extent of management required for the maintenance of larger farms. The Polo Village apartments comprise three types: the 68 m² Polo Pads, the 96 m² two-bedroom Ambrosia Suites and the lavish 112 m² two-bedroom en-suite Hurlingham Suites. Elegantly designed by award-winning architect Stefan Antoni, each living area was designed for easy living – unrestricted, uncluttered and gracefully mimicking the tranquility of the surrounding landscape with its grey slate finished roofs and natural coloured exterior walls. Each residence is perfectly complemented by a private balcony optimising the backdrop of the Drakenstein and Simonsberg Mountains, rolling vineyards, the immaculate Polo Pavilion, restaurant and polo fields. The Pearl Valley Hotel by Mantis, a luxury hotel is situated the award winning Val de Vie Estate with tranquil surroundings. 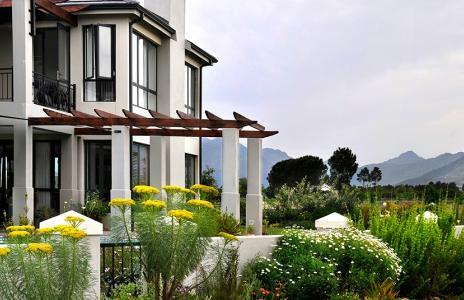 The hotel is located on Val de Vie Estate, known for housing many successful property developments which have sold out at a rapid rate, the Pearl Valley Hotel by Mantis is ideal for regular holidays during any season of the year. When the time comes, the high standards and ultimate comfort of your luxury hotel suite will prove to be ideal for relaxation and rejuvenation. The second phase of the Pearl Valley Hotel by Mantis comprises of 40 one-bedroom suites. The hotel suites are a mere 100 meters away from the clubhouse and easily accessible by golf cart or a leisurely stroll. The Vines at Le Domaine comprises 72 stands that offer views of Paarl Mountain and the majestic Simonsberg. 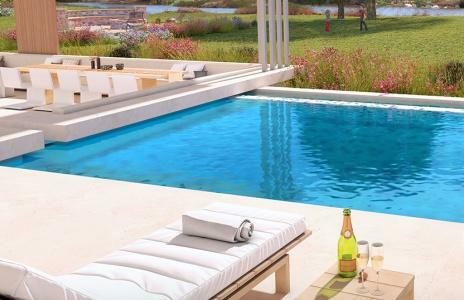 Not only will this new development fullfil your desire for a beautiful and contemporary home but will also provide you with an incomparable lifestyle, true to Val de Vie’s core values. 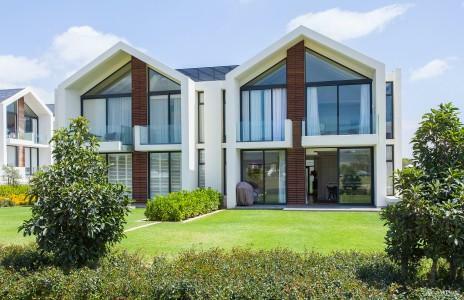 This is your opportunity to own a home designed by one of South Africa’s most celebrated architects, Stefan Antoni, on South Africa’s top residential estate. Welcome to a new way of doing business at the Val de Vie Polo Village Offices. These designer offices are only metres away from the award-winning Polo Village and Polo Pavilion and a stone’s throw from the picture perfect wine cellar. They overlook the magnificent L’Huguenot Vineyards, and house eight extremely versatile buildings. Doing business at Val de Vie Polo Village Offices means you can now treat your clients to a meeting they will not forget in a hurry, and treat your staff to an unrivalled working environment. The Acres – consisting of a selection of stands from 700 m² to an Acre in size (4040 m²). Following the success of the Gentleman’s Estate development, a handful of stands on The Acres are 1 hectare in size and offer the ideal opportunity to keep horses, cultivate vineyards, grow orchards and vegetable gardens. 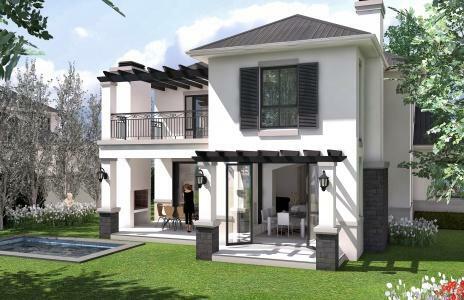 The Acres development is located on the Pearl Valley side of the estate. Cape Winelands properties are proud to be mandated to sell the Harbour Arch development. Harbour Arch provides a prime opportunity to invest in the Cape Town CBD’s first large-scale, inner-city, mixed-use precinct. Like Melrose Arch, this precinct will encapsulate the principles of new urban living, and present an opportunity for people to live, work, play, relax, and stay in a safe, convenient, enjoyable and sustainable community-focused environment. Enjoying fantastic proximity to the city and its surrounds, Harbour Arch’s six towers will be located alongside landscaped public spaces bustling with shops, restaurants, cocktail bars, international hotels, offices, health clubs and the largest selection of residential apartments in the CBD.